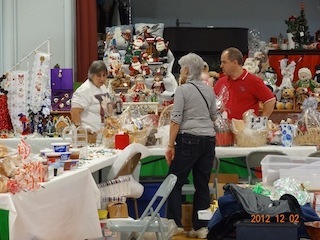 The Christmas Fair is held annually on the weekend after Thanksgiving weekend and is well known as one of the largest and most successful church fairs on the South Shore. A tremendous variety of homemade gifts, baked goods, artisan’s works, gift baskets, gift certificates, jewelry, books and more are available at attractive prices in a festive environment. Fair proceeds benefit Christ Church Quincy Outreach programs.